ARTICLE: Guest writer Jane Albert explores this art form and how children engage with it. 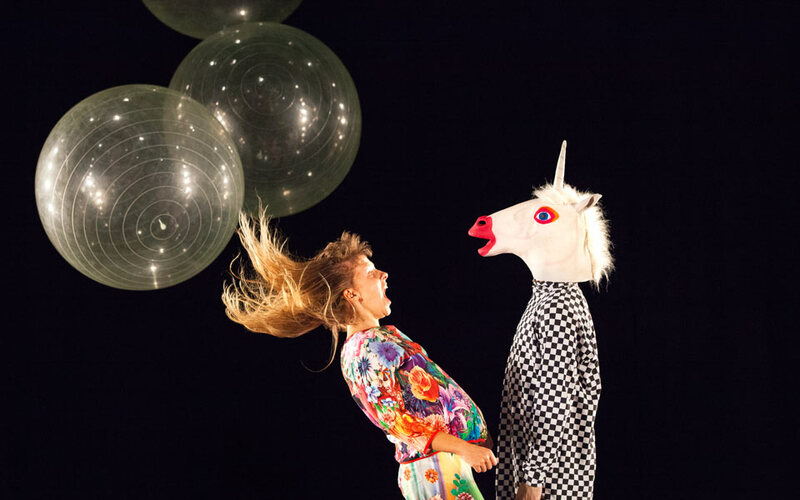 As the curtain came down on a performance of Dancenorth’s children’s contemporary dance work Rainbow Vomit, the company’s artistic director Kyle Page stepped out to speak with the young audience. How many, he asked, had understood it? A couple of children timidly raised their hands. Page and his life partner, Dancenorth’s associate artistic director Amber Haines, are two of the very few in Australia creating contemporary dance for young people, work that is non-narrative, non-linear and yes, even possibly confusing. But it is gaining interest among young audiences. 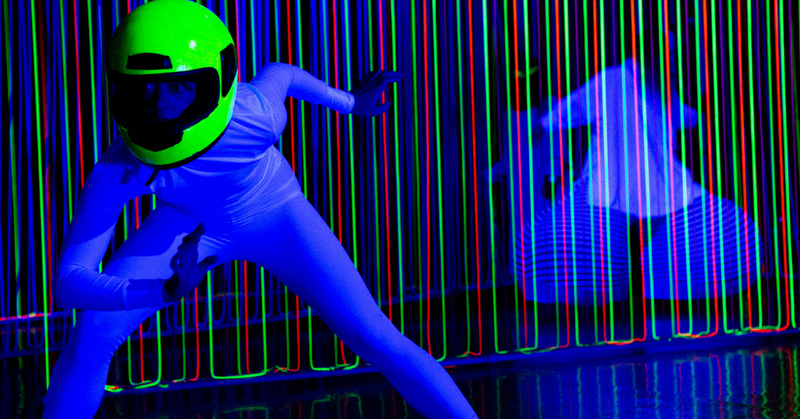 That conversation and many others inspired Rainbow Vomit, an immersive, humorous and provocative hour-long work for six dancers where light and sound collide and from which strange creatures emerge. It arrives at Riverside Theatres, Parramatta in June. Rainbow Vomit grew from a fascination with the cognitive impact of the increasing time young people spend on screens and, in particular, how it affects them creatively. Abstract contemporary dance can be a slippery beast, one that continues to worry adult audiences who fear they won’t “get it”. “It’s a fear they can pass down to the young”, says Brigette Van Leuven, Head of Children, families and creative learning at the Sydney Opera House. “One of the challenges for parents and teachers is that not many feel well enough versed in contemporary dance to understand the language and speak about it to their children,” she says. One of the most successful dance works for young audiences at the Opera House in recent months has been Irish contemporary dance company CoisCeim’s The Wolf and Peter. The non-narrative production drew on the traditional fairy-tale but in this updated version, the Wolf is urban hip-hop and the score – inspired by Prokofiev’s original – is given a contemporary spin. For Page, much of the appeal and beauty of contemporary dance lies in not needing to understand it. “Children’s brains are far less conditioned to perceive things in certain ways so it feels like their experience can be incredibly deep and profound and insightful because they’re not following this codified method of interpreting the world,” he says. Van Leuven agrees, adding that youth-focused contemporary dance can be helpful in helping children develop the diverse skills needed to navigate an increasingly complex world. While the education system is still “a traditional nineteenth century system” she says, the all-important ‘five Cs’ – critical thinking, creativity, collaboration, communication and co-operation – are often stimulated by contemporary dance which often includes elements of multimedia, music, even silence. Van Leuven highlights respected independent dance maker Shaun Parker as another artist creating non-narrative contemporary dance for children and young adults, often in non-traditional spaces. His award-winning work The Yard, which explores themes of bullying, identity, class and the politics of the schoolyard, was devised with teenagers over an eight-year period. The production will be touring schools across New South Wales this year. 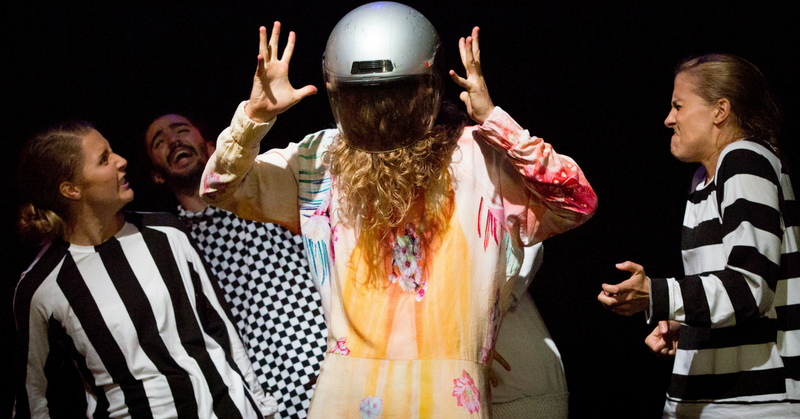 More recently, Sydney Dance Company presented Crazy Times, the company’s first work created specifically for children. Presented at the Sydney Opera House and choreographed by Antony Hamilton, it explored the fast paced world of endless information and stimulation that today’s children inhabit. Rainbow Vomit is playing at Riverside Theatres 26 & 27 June. Article originally published on Audrey Journal.